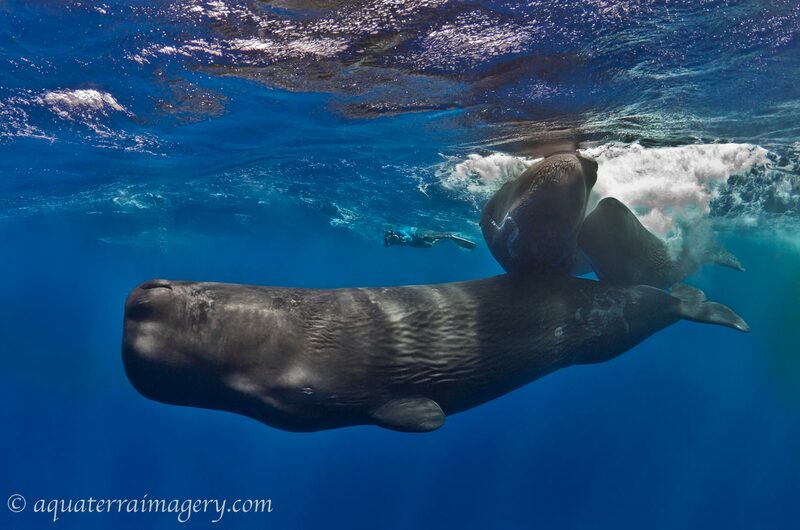 Sperm Whale ( Physeter macrocephalus ) pod socializing. They are are well known as the most social of all the great whales. Mature females together with juveniles and calves of both sexes, form social groups.